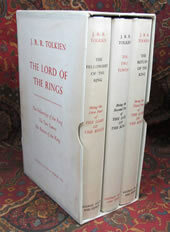 Published by George Allen & Unwin, early 1960's set of the UK 1st Editions. 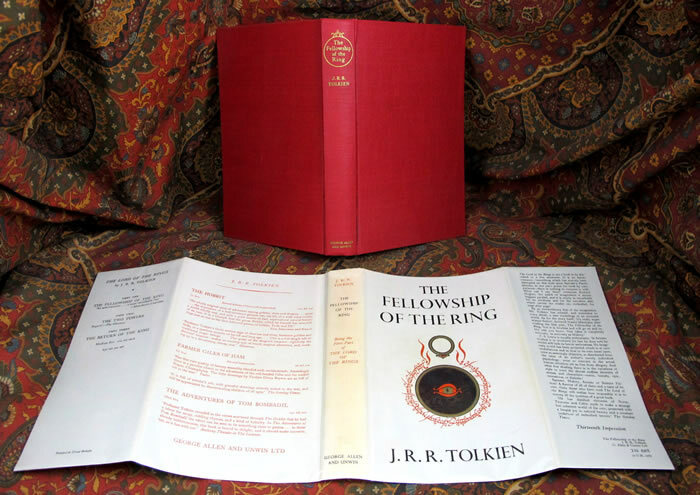 The Fellowship of the Ring is a 13th impression published in 1963. 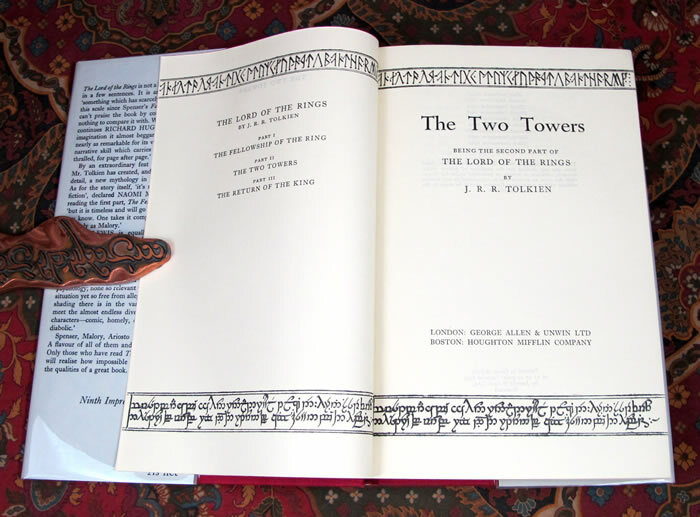 The Two Towers is a 9th impression published in 1962. 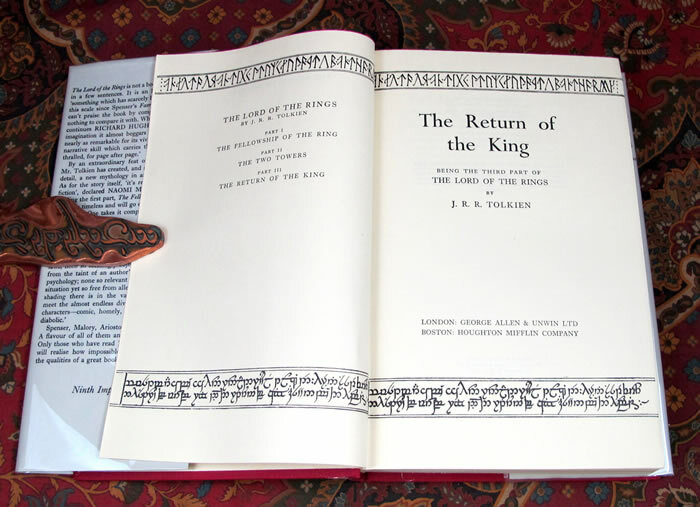 The Return of the King is a 9th impression published in 1962. 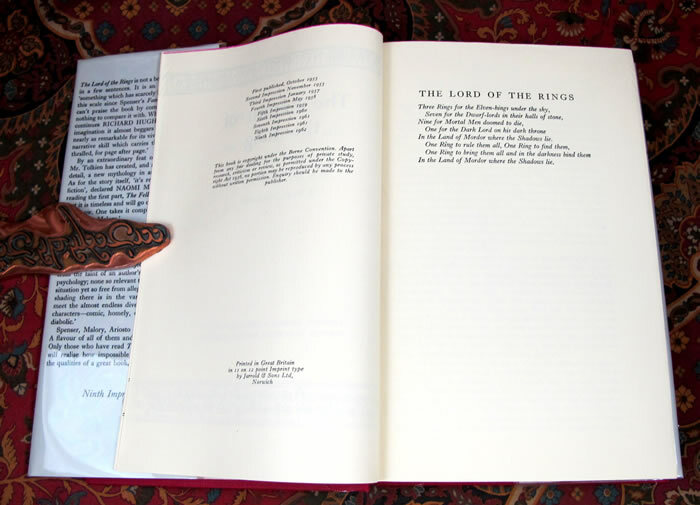 An exceptionally well preserved set of first editions of this classic of fantasy literature. 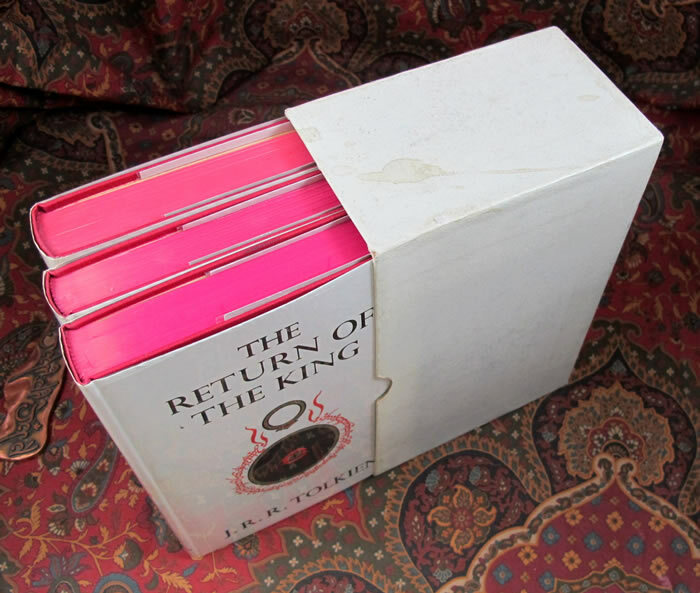 The set is housed in the original publishers off white slipcase with the label on one side. 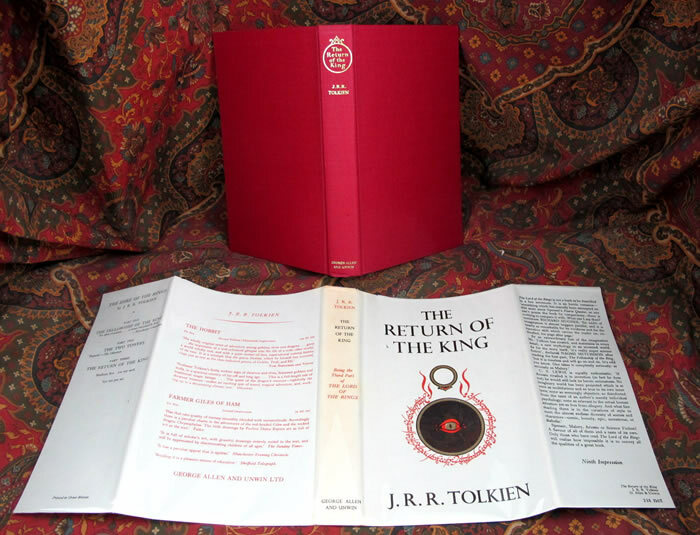 The slipcase shows some very light rubbing to the edges, no bumps to the corners, very nice and bright condition, only very lightly soiled. 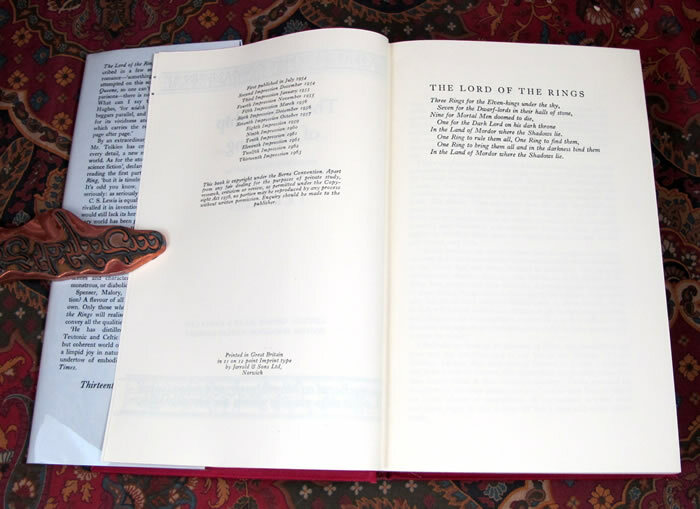 It has done a wonderful job and protected the books from any damage. 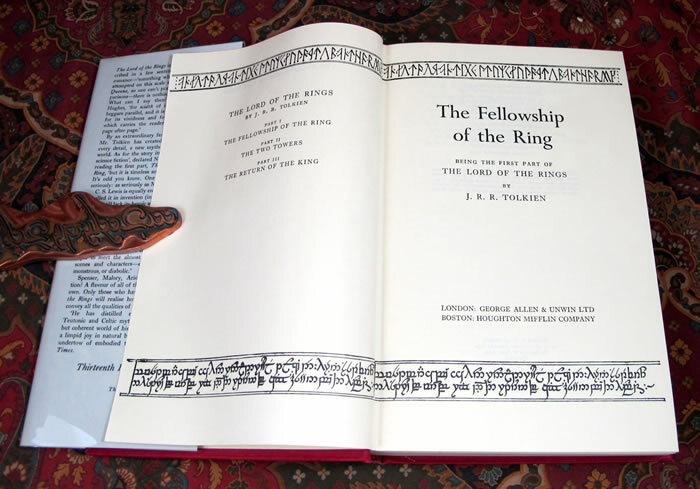 No previous owners name, nor any other marks or writing to the books. Each book has a small tape ghost to the front free endpaper, from the original protectors which were taped together, and did a marvelous job of protecting the dustjackets. Overall this set is in Near Fine condition, besides the tape ghosts, no other faults noted. 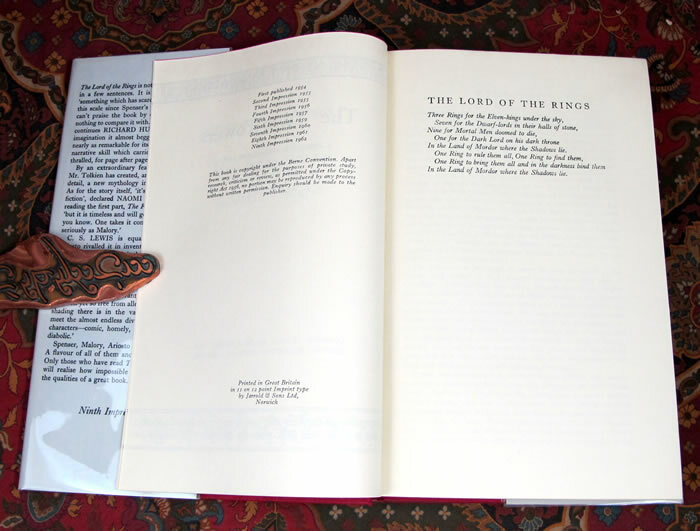 There is absolutely no foxing or offsetting in any of the books. The text block is clean and bright, edges are also clean & bright. The red topstain is clean, without any fading. 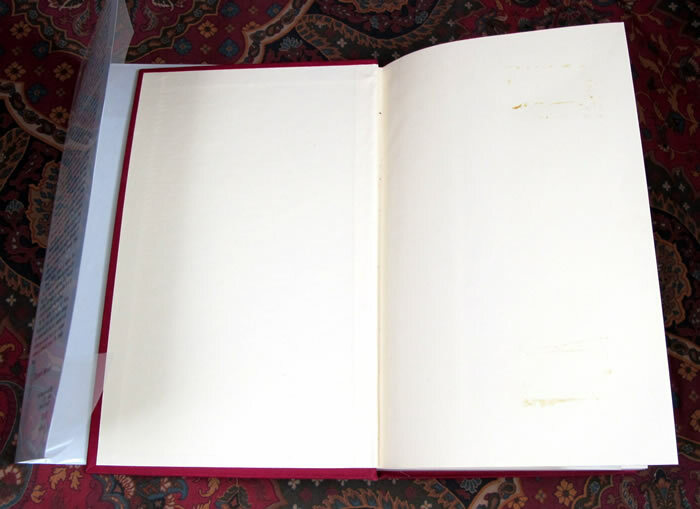 The exterior cloth is extremely clean, with the gilt untarnished and bright. 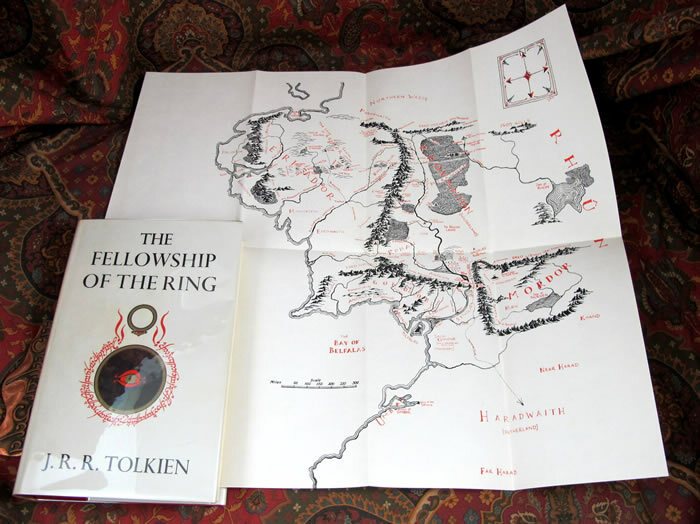 The books look unread, are still clean and tight, and the maps are attached, and in excellent condition, no extra folds or tears noted. 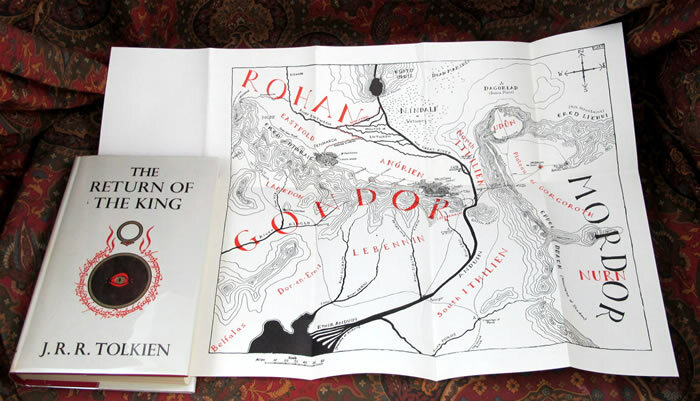 The dustjackets are in fabulous shape with no chips or tears to the edges. 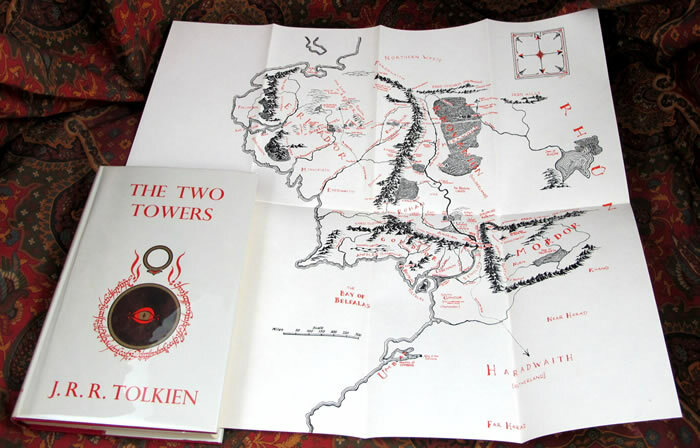 None are price clipped and are the original and correct impression for all three books. A very light amount of tanning, much less than is common, to the spines, but no fading of the red lettering as often found. 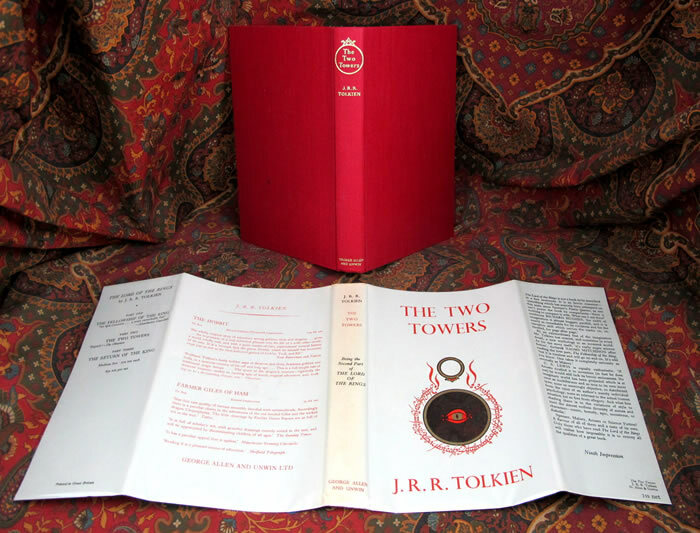 A beautiful matched original set, virtually without fault. No shelf wear to the edges, lightest of soiling to the label. 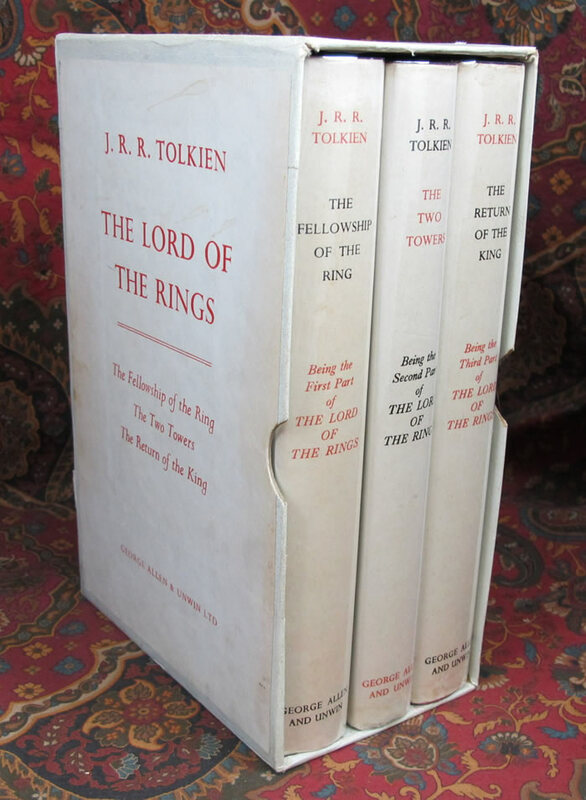 A fabulous set for the collector, difficult to find in this lovely condition.